Rate 2% of Bond penalty. 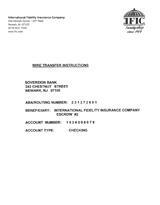 Bond amount is 110% of lien amount. Collateral is 110% of Lien amount. 1. Copy of the Order fixing the bond amount. All the information needed in the preparation of the bond is obtained from here. This is a financial guarantee bond that usually requires 110% collateral and satisfactory demonstration of the applicant’s financial ability. Therefore, please provide a current detailed financial statement from the applicant. 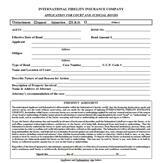 In addition to the court order, please complete, sign, and return the attached Bond application in the sections indicated.